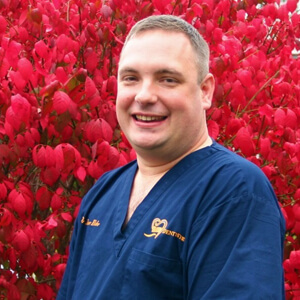 Not only did Dr. Blake know at the age of 12 that he wanted to be a dentist, but he knew where he wanted to practice: right here in Potter County, Pennsylvania, where he was born and raised. Upon graduating from Northern Potter High school, Dr. Blake headed to Susquehanna University in Selinsgrove, Pennsylvania for his undergraduate education. His years at Susquehanna provided him with a strong science background and in 1998 he earned a Bachelor's of Science degree in Biology. There was no time to sit back and rest on his laurels, however, as in the fall of that year Dr. Blake was selected for a position in the Temple University School of Dentistry Class of 2002. Dr. Michael S. Habib, a native of Holmdel, New Jersey, grew up ten minutes from the beach and brings his easy-going, upbeat, humor-infused beach philosophy to the mountains of Potter County and Blake Dentistry, where he is an associate dentist. Dr. Habib had an interest in dentistry in middle school, which galvanized into a career decision for him during his senior year at Long Island University. 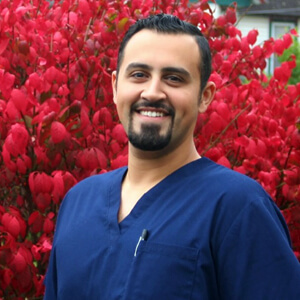 With his Bachelor of Science in Biology in-hand, Dr. Habib headed to the Maurice Kornberg School of Dentistry at Temple University in Philadelphia, PA, where he earned his Doctor of Dental Medicine. 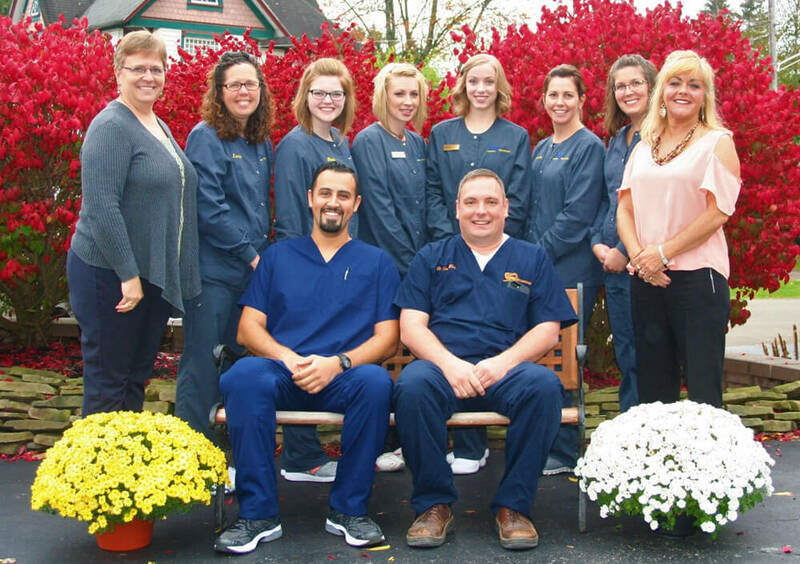 Upon graduation from dental school, Dr. Habib spent a year in New York City before relocating to Potter County, where he will be an integral part of not only the dental and healthcare community, but the community at large, for years to come. Registered Dental Hygienist Carrie has been practicing full time since 1999, when she graduated with an Associate’s Degree in Dental Hygiene from Pennsylvania College of Technology. 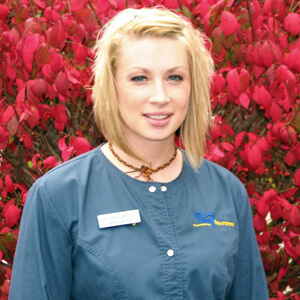 Carrie has been an integral part of Blake Dentistry since the very beginning of the practice in 2005. Carrie is the ultimate professional, a calm center in a sometimes-chaotic environment. Her quiet enthusiasm is contagious. You’re watching a master at work, whether she’s reviewing and updating health history, performing head and neck oral cancer screenings, or educating patients on proper oral hygiene, nutrition, and the risks of tobacco use. 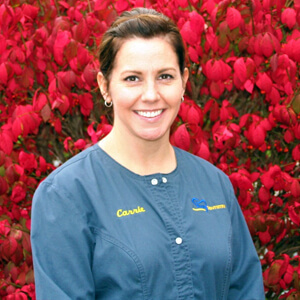 In addition to cleaning patients’ teeth, taking x-rays, applying fluoride and sealants, and making sure patients’ charts are up-to-date and that we have a record of all their dental work, Carrie is also licensed to administer local anesthesia. That’s right- Carrie can give shots! Over the years, Carrie has developed relationships with her patients based on a deep respect and concern for their well-being. When a nervous patient finds their way to her chair, Carrie’s confident and compassionate demeanor and her gentle technique help ease the fears. Carrie makes it a point to communicate with her patients so that if they find anything uncomfortable, they know they can tell her and she will adapt to make the situation more comfortable for them. Even if you can’t see the ready grin from behind the mask, you can see it in her eyes. Carrie is a person who loves what she does and who is extremely skilled at it! Registered Dental Hygienist Alisa graduated from Pennsylvania College of Technology in 2007 and has been practicing at Blake Dentistry since 2014. 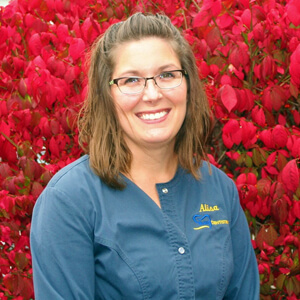 Although she deftly uses cutting-edge dental technology, Alisa emphasizes the importance of personal interactions with patients, whether she’s performing cleanings, taking x-rays, applying sealants, or giving patients instructions on proper homecare. She uses a quick sense of humor and perspective to calm any nervous patients in her chair. One of Alisa’s favorite aspects of being a dental hygienist is seeing patients smile after she’s finished cleaning their teeth, especially if it’s been a long time since they’ve had a professional cleaning. It makes her happy when her patients leave her chair with squeaky-clean teeth and a big smile! Registered Dental Hygienist Megan graduated from Erie Community College in Williamsville, NY in 2016 and has been at Blake Dentistry since 2017. Megan performs extra-intra-oral exams, periodontal assessment, x-rays, sealants, prophies, and periodontal debridement and root planning, in addition to educating patients on best practices for attaining and maintaining optimum oral health. Megan wants to ensure each visit is as comfortable as it can be and encourages her patients to let her know if there’s something they need her to adjust in her technique. 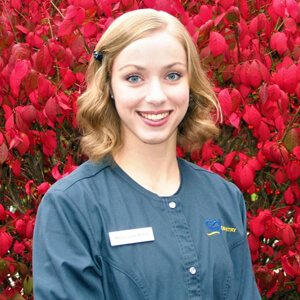 Megan brings with her a passion for dental hygiene and a compassion for her patients. Dental Assistant Lena has been instrumental in providing the best possible experience for patients at Blake Dentistry since she joined the staff in 2007. Lena takes a special interest in making sure the patients in her chair are able to relax. She has an uncanny ability to get to the heart of what makes a patient nervous, whether it’s unpleasant past experience or fear of the unknown. She’s a master at keeping the mood light, diffusing nerves with humor and empathy. Lena exemplifies using a personal touch to make a patient comfortable, even holding a patient’s hand if that’s what they need in order to understand that they’re not alone! 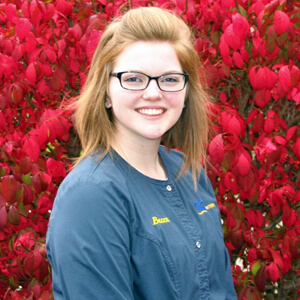 Becca graduated from Great Lakes Institute of Technology in 2015 and joined Blake Dentistry in 2016. She is not only a chairside dental assistant well-versed in the E4D-PlanMeca and the latest dental technology, but she also can deftly handle front office duties. Becca meets every day’s work with enthusiasm and energy, and has a passion for learning something new every day. Her favorite aspect of her job is helping transform patients who arrive at the office dissatisfied with their smiles into patients who love to smile. Dental Assistant Lorinda joined Blake Dentistry in 2017 and jumped right in, preparing operatories, doing labwork, and helping out in any way she can in the day-to-day around the office. She graduated from BOCES in Olean, NY in 2016. Chairside, Lorinda is a calming force, ready with a reassuring word and a description of a patient’s procedure. 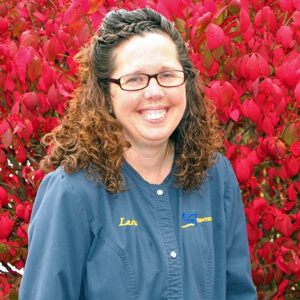 Lorinda loves the challenge of assisting and is excited that every day is a learning experience. 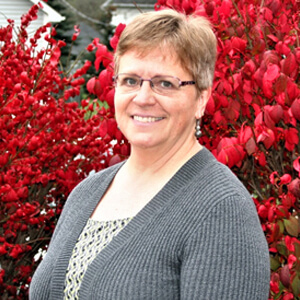 Prior to joining Blake Dentistry in 2007, Office Manager Sherri’s professional focus was accounting. 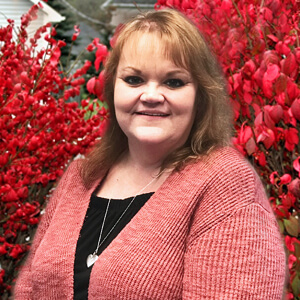 She earned a Bachelor’s Degree in Business Administration with a concentration in Accounting from St. Bonaventure University and for twenty years worked in various accounting positions across private, public, and corporate sectors. 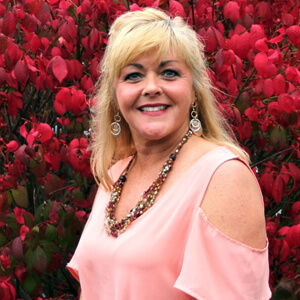 Although Sherri had no experience in the dental field before joining our staff, she was a quick study in all the things that entail working at the “back desk” in our dentist’s office. She handles billing and receipts. She helps patients understand their financial obligation for the care we provide. She schedules follow-up care appointments and helps maintain the various dental and operational software used in our office. Sherri is legendary at navigating the intimidating world of dental insurance. Whether she’s filing patients’ insurance claims for services provided or getting pre-determinations for future work, she keeps the process moving smoothly. And if those insurance waters get choppy and your insurance company starts bullying you? Sherri’s the person who calls them up, gets the answers, and lets them know what’s what! Cathy joined the Blake Dentistry team in 2006 and has been a force of happiness, compassion, and positivity ever since! Although Cathy’s job title is “Receptionist,” she is more accurately our office quarterback, cheerleader, and air traffic controller. In addition to keeping Blake Dentistry’s schedule filled and running smoothly, she also coordinates our patients’ appointments with specialists’ offices, fields telephone calls, confirms appointments, and setting the tone for a positive experience from the moment a patient walks through the front door. The ultimate people person, Cathy is a natural at listening to our patients’ concerns and calming their pre-appointment jitters. She makes sure they leave our office with a smile! Angela joined Blake Dentistry as an Administrative Assistant in 2017 after working for eleven years at another medical office. She’s well-versed in front and back desk operations and navigating insurance payments and claims and she’s an ace at making patients feel welcome. A firm believer in the transformative power of dentistry, Angela brings enthusiasm and empathy to her position at Blake Dentistry!